After a weekend off for the FA Cup, the English Premier League resumes again on Saturday with four of the top five on the field. The tastiest action of the weekend comes on Sunday, headlined by the London derby between Tottenham Hotspur and West Ham, before a crucial game in the battle for the fourth Champions League spot sees Liverpool head to St Mary’s to play Southampton. Elsewhere on Sunday, strugglers Leicester tackle Everton on Merseyside. With home advantage in their favour, Spurs are 4/5 favourites for the lunchtime match at White Hart Lane. Aside from their FA Cup defeat to Leicester, Mauricio Pochettino’s men have won all of their other five home matches this year, including victories over Chelsea and Arsenal. The man largely responsible for their recent form, goal machine striker Harry Kane, is a bargain 11/10 'anytime scorer' with Winner Sports, while playmaker Christian Eriksen is an appealing 'last scorer' option at 13/2 with 888 Sports. Sam Allardyce’s men will fancy his team to take advantage of their fresher legs, with Tottenham facing Fiorentina in the Europa League on Thursday night. 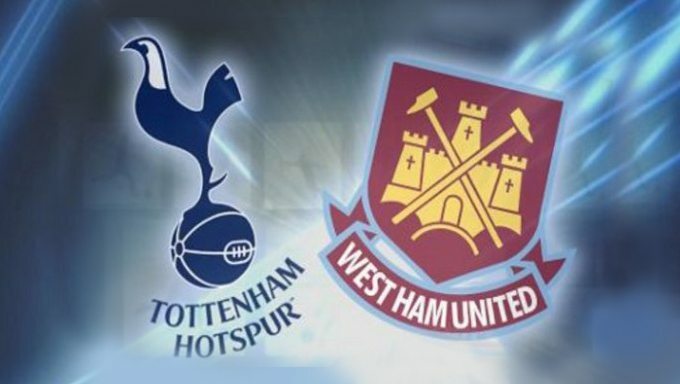 The Hammers have won the last two meetings between the pair in North London: a 2-1 League Cup win back in December 2013 and a comprehensive 3-0 win in October last season. They are widely available at 7/2 to add a third consecutive win at the Lane. With wins over Arsenal and Manchester United in January, Southampton are continuing to show they can mix it with the best this season. Although their displays in February have not been quite so convincing – with a draw, a win and a defeat in the Premier League – Ronald Koeman’s men remain a very difficult team to score against, let alone beat. England international Fraser Forster has the most clean sheets (12) of any goalkeeper in the league this campaign and the Saints are subsequently 6/4 favourites at St Mary’s. The Hampshire side will do well not to concede at the hands of Liverpool, who are fresh from wins against Crystal Palace (2-1) and Spurs (3-2). Although a Europa League tie against Besiktas at Anfield on Thursday could tire them, Brendan Rodgers' men won 3-0 at St Mary’s last season and are 9/5 with Bet365 Sports to repeat the feat. In other markets, striker Daniel Sturridge is a healthy 21/4 with 888 Sports to score first following his positive displays for the first team since returning injury last month. A game between two evenly matched sides, a 7/2 score draw seems most likely. For more football betting odds, visit 888 Sports today.